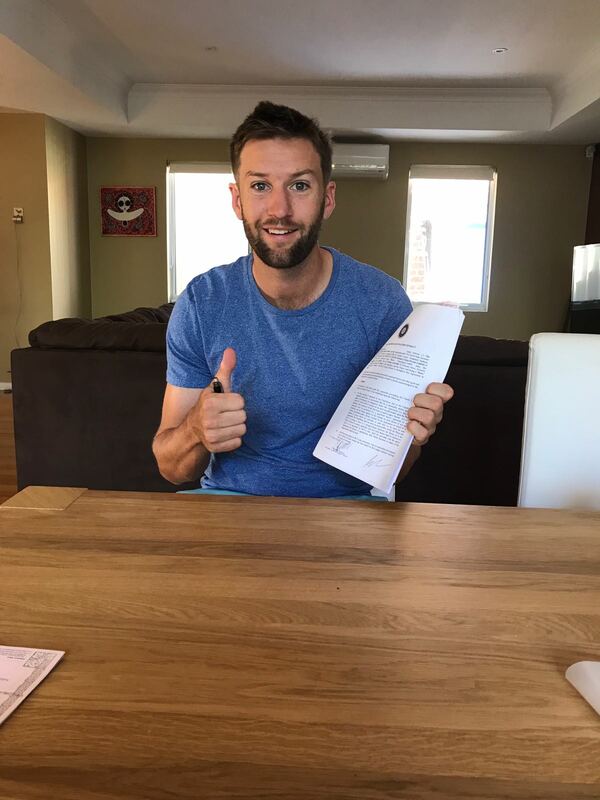 Andrew Tye becomes the first Australian star to sign with the company and builds on its long-standing record of excellence in this sphere. 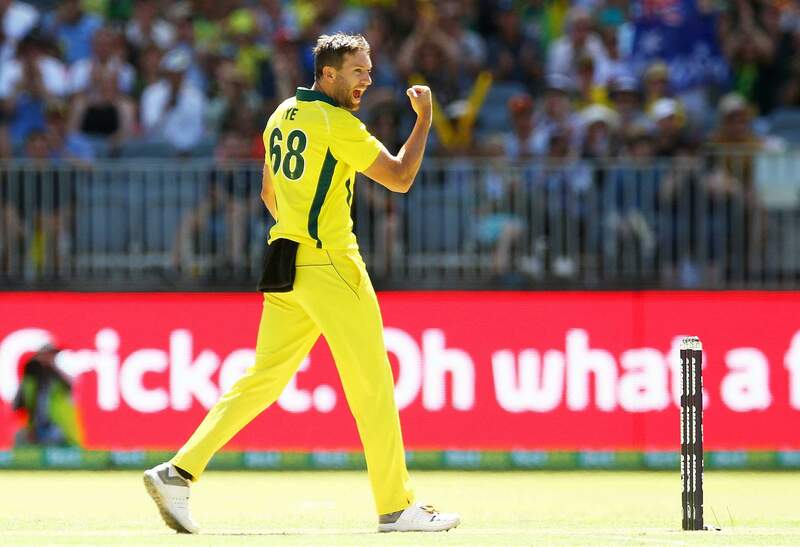 Anglian Sports is delighted to announce that we have joined hands with Australian international Andrew Tye in a unique association that sees the company become the fast bowler’s sole representatives outside Australia. The 31-year-old thus becomes the first big Australian star to come on board with the company’s revamped talent management programme. A late bloomer of sorts, AJ played 2nd XI cricket in England with Somerset, Durham and Northamptonshire. Upon returning to Australia AJ started his professional career at age 26, making his debut for Western Australia in the Australian domestic One-Day competition in the 2013-14 season, finishing as the second leading wicket-taker with 13 at an impressive 19.30. AJ plays in a number of global competitions in the shortest format of the game, including for Gloucestershire in the Natwest T20 Blast. 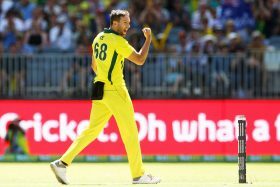 In the summer of 2018, Tye made his Australian ODI debut in the recently concluded series against England. His ability to bowl yorker at the death and the dreaded ‘knuckleball’ are seen as two of the key attributes that make him a sought-after commodity in the coloured clothing. The pacer’s rise continued in early 2016 with him making his debut for Australia in the T20 format against India in January as well as being selected for T20 World Cup Team later that same year. In the summer of 2018, Tye made his Australian ODI debut in the recently-concluded series against England. His ability to bowl yorkers at the death and the dreaded ‘knuckle ball’ are seen as two of the key attributes that make him a sought-after commodity in the coloured clothing. His skills that enable him to control the flow of runs in arguably the toughest phase of the game, the slog overs, have made the go-to man for captains in this vital period, deservedly earning him the reputation as the best death overs bowler in the world. As far as Tye’s exploits in India are concerned, he first signed for Indian Premier League (IPL) side Chennai Super Kings in 2015 on the back of a string of impressive performances for the Scorchers. More recently, he also featured for Gujarat Lions in the competition’s previous edition. In April 2017, Tye became the first bowler to take a hat-trick on IPL debut. Representing Gujarat against Rising Pune Supergiant, he picked up five wickets, helping his side register their first win of the season. Interestingly, this latest three-peat was sandwiched between two other hat-tricks for Perth, first against the Brisbane Heat in the 2016-17 campaign and the other against the Sydney Sixers in the 2017-18 season. That saw the pacer become the only bowler to bag three T20 hat-tricks in the same calendar year. Following his triple against the Sixers earlier this season, Andrew also became only the third bowler to take two hat-tricks for the same T20 team. His three hat-tricks also place him joint top of the pile in the list of bowlers with most T20 hat-tricks. With a pedigreed resume like that, it was little surprise when Tye was a wanted man at the IPL 2018 Auction in January, where, after some intense bidding between the Super Kings and a revamped Kings XI Punjab he went to the northern outfit in a whopping $1.4 million (₹ 7.2 crores) deal. Remarkably, on the same day, the fast bowler also sealed his first 5-wicket haul in ODIs against England in front of his home fans in Perth. Tye is also expected to play a vital part for his country over the next couple of years in both limited-overs formats in the lead up to next year’s ICC Cricket World Cup in England and Wales as well as the T20 World Cup in 2020 in his native Australia. After playing IPL and BBL Andrew Tye set to play for Gloucestershire County Cricket Club in NatWest T20 Blast 2018.